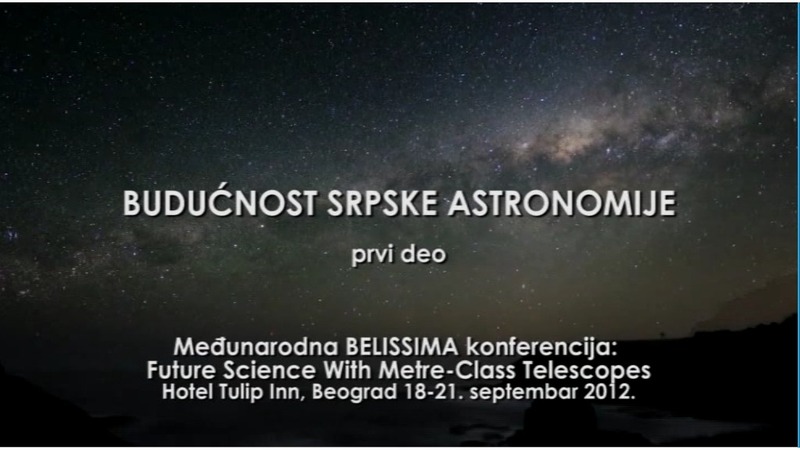 The third and fourth episode, “The Future of Serbian Astronomy” (parts I & II) of the BELISSIMA TV programme are now available. 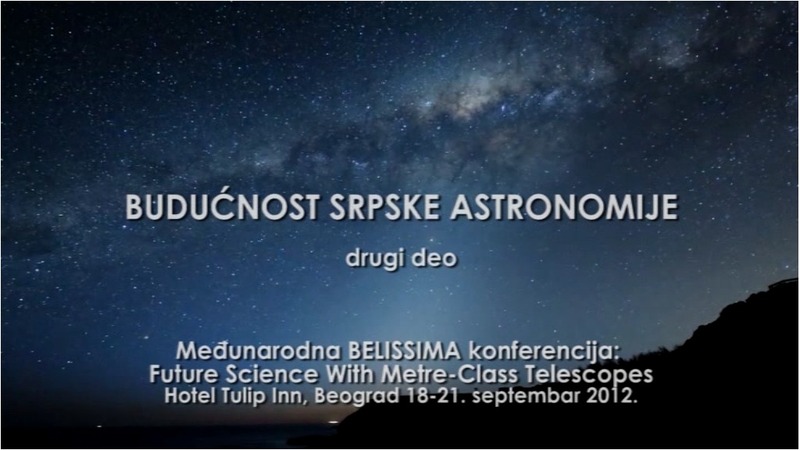 The episodes show the international BELISSIMA conference held in Belgrade in September 2012. The BELISSIMA project has been extended for two years: the duration of the project is 60 months which means that BELISSIMA will be concluded on June 30, 2015. 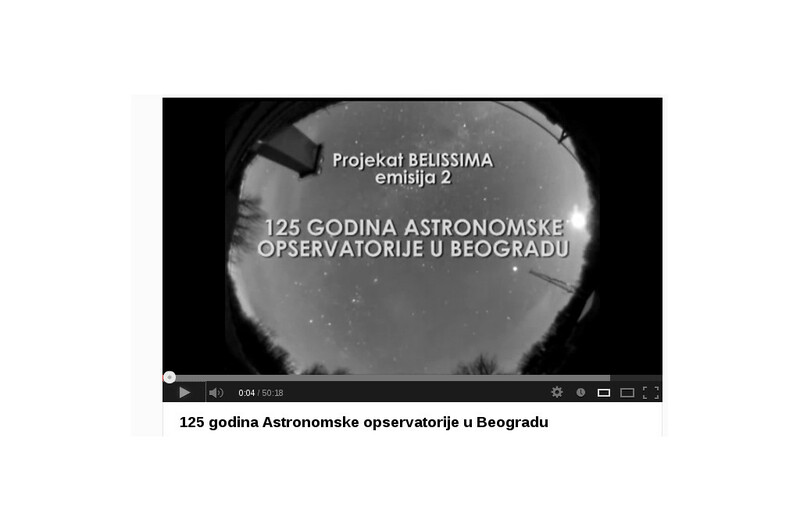 The reason for the extension is to provide enough time for the purchase and mounting of 1.50 m-class telescope at the Vidojevica Astronomical Station. The Management Board of the BELISSIMA project expresses its sincere gratitude to the Project Officers Dr. Stefan Weiers (from July 2010 to March 2013) and Dr. ﻿Grzegorz Ambroziewicz (from March 2013) for their help and understanding.